Dr. Levine did his undergraduate work at Northwestern University and received his PhD in Psychology from the University of Wisconsin. He is Professor of Psychology and Senior Scientist at the Learning Research and Development Center at the University of Pittsburgh. His research focuses on group processes, including innovation in work teams, reaction to deviance and disloyalty, the impact of regulatory fit on group decision making, and the social dynamics of online health support groups. 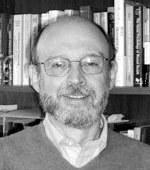 Dr. Levine has served as Editor of the Journal of Experimental Social Psychology and Chair of the Society of Experimental Social Psychology. He is a Fellow of several professional organizations and an Honorary Professor of Psychology at the University of Kent, UK. Recently, Dr. Levine was co-recipient of the Joseph McGrath Award for Lifetime Achievement in the Study of Groups from the Interdisciplinary Network for Group Research.